Short Load Concrete provides our Inland Empire customers with the best value in short load concrete that's always fresh and always delivered on time. Our family-owned and -operated business has more than 18 years of expertise pouring and placing concrete for CalTrans, do-it-yourselfers, homeowners, businesses, and contractors. We specialize in mixing high-strength, fast-setting rapid strength concrete, and are recognized by CTS Cement as California's leading rapid strength concrete producer. We also excel at creating a diverse range of concrete mix designs, which we combine on location according to your project specifications. Because we have the largest fleet of GPS-equipped volumetric concrete mixer trucks in Southern California, we have very fast response times. 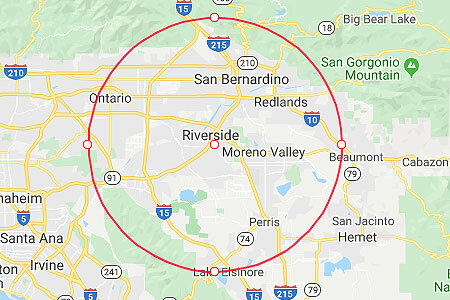 We can have one of our courteous, well-trained drivers radio dispatched to your Inland Empire job site at a moment's notice, anytime of day or night. At Short Load Concrete we firmly believe mixing concrete on site by a volumetric mixing truck is a highly beneficial alternative to ready-mixed concrete delivery. Unlike batched ready-mix concrete, our mixing trucks deliver the freshest concrete and make it easy to alter your mix design. We can transport up to ten cubic yards of concrete per truck load, and won't pour the ingredients until you're ready to receive them. We can even pour concrete intermittently if needed. We've produced everything from rapid strength grade slurry mix, to P-gravel slurry mix. 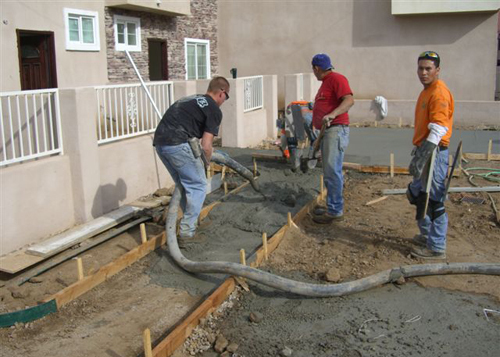 Our concrete is quality tested and approved by CalTrans, and well-suited for countless Inland Empire interior and exterior pours, such as highway repairs, PADs, room additions, sonotubes, patios, parking garages, driveways, and sidewalks. Additionally, volumetric mixing trucks significantly cut costs and reduce waste. Instead of over-ordering ready-mix concrete as a safety precaution, we accurately meter your concrete usage so you're only charged at the end of the batching process for the materials used. Any unused ingredients can be stored and used for a future job. 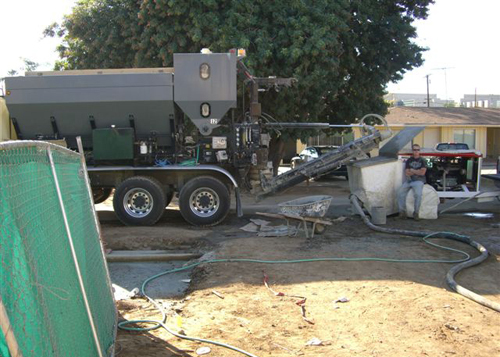 If a pour site is inaccessible by our volumetric mixer or even a wheelbarrow, we offer Inland Empire clients budget-friendly pumping services to fulfill your project's requirements.